The Suffragist was the weekly newspaper of the Congressional Union for Woman Suffrage – a more militant arm of the movement for the right to vote. This group was responsible for organizing protests and picket lines in the front of the White House. This paper covers national and international news of the movement. 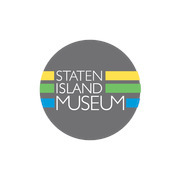 The issues featured here were given to the Staten Island Museum by Arthur Hollick a suffragist and one of the museum’s founders.